I called this corset my “Waffle Iron,” because of the way my skin and flesh pokes through the holes of this skeleton corset prototype, and the lines it leaves afterward. I was inspired to make this due to the recent warming weather and ventilated corsets such as this. 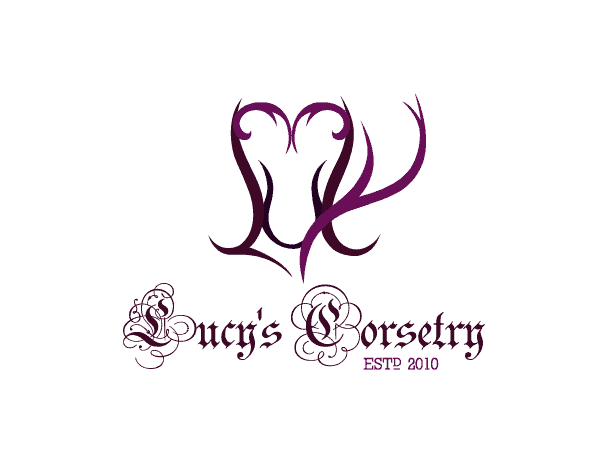 I wanted to push my limits and my knowledge of corsetry, and break down corsetry to its “bare bones” so to speak. To experiment with “corset minimalism” and to get to know the “architecture” of corsets better – to see where the most important lines are. While I agree that mesh on the open areas would have been more flattering, that wasn’t really the point. Skeleton corsets have existed in the past (with no mesh) and women wore chemises underneath which helped prevent the “oozing”. I still intend to use liners under this corset if/when I wear it in the future. The “fabric” is the most-densely-weaved twill tape I could find – this is the only textile I used, other than a bit of canvas to reinforce the grommet area. I started with a custom-drafted 6-panel corset pattern, then sewed a quick single-layer “corset” from a soft tear-away stabilizer. Once I had the outline I wanted, I tore away the stabilizer, laid down another layer of vertical strips to create the bone casings/busk/grommet areas. I added boning to the channels, folded the top/bottom edges over double to cover the raw bone-casing edges, and added grommets. 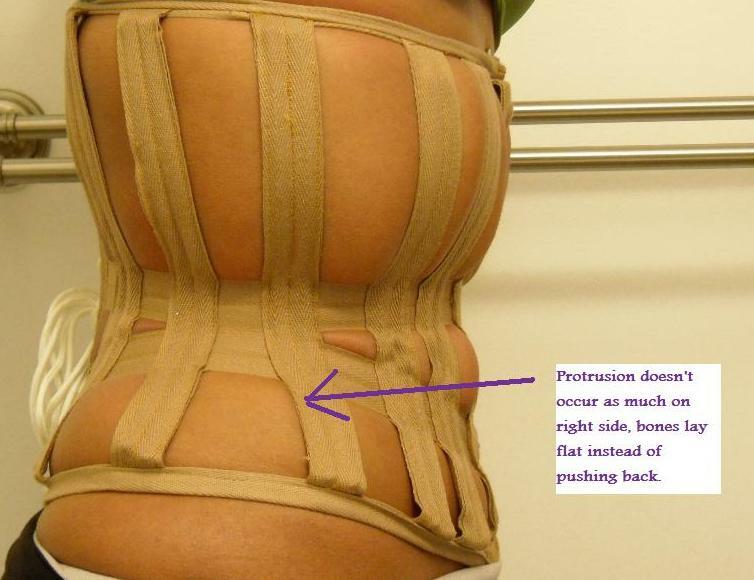 In the profile view, the bone of the corset is right in front of my iliac crest and pushing back on it slightly. This wouldn’t normally happen in a regular corset, because the fabric would prevent my hip from freely jutting out behind it. Instead, the bone would rest directly on my hipbone and cause discomfort. 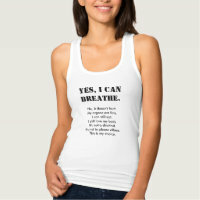 Here is a picture of the right side, by comparison. 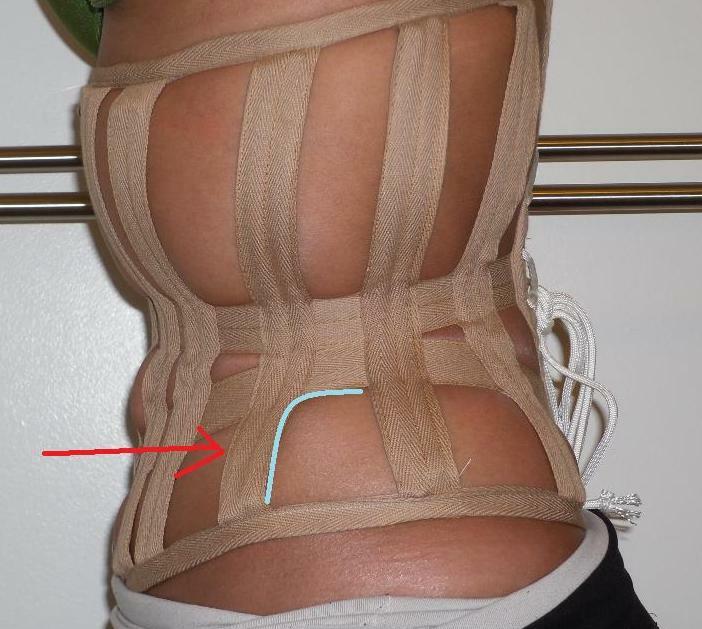 You can see that the right hip doesn’t protrude behind the corset bone in the same way. In the past I would try to alleviate the discomfort on my left hip by simply drafting the hips of my patterns larger and larger, but now I see that I have to completely change my drafting technique and move the panels and bones away from the problem area. In the first picture of the 3/4 view, you can see the “waffle iron” visual effect. The way that fat pads are genetically distributed, many women (and some men) have a little pocket of fat directly under their navel, and it’s no different for me. 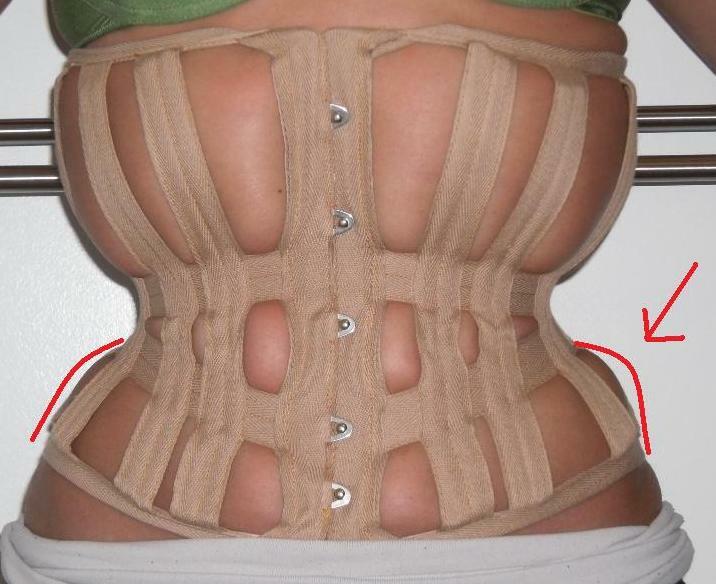 This is likely why so many skeleton corsets in the past had a diamond-shaped belt (2nd photo, same angle) or waist tape to hold that flesh in. The diamond could be shallow and stop just around the natural waist, or continue up to the sternum. While I do realize that the “flesh oozing” is undesirable to many people, I have discovered that seeing the bulges is actually useful. I see it as a topographical map telling me how much support/pressure is required in each “grid” of the body – the more oozing in one pocketed area, the more tension and support that area requires. This means I can take more care and attention in shaping those areas in my drafting, while other areas can simply gently cup or lay flat over the flesh without restriction. If I were to put mesh between the panels, I wouldn’t be able to see this “map” quite as well. In the future I will make this with coutil instead of twill, as the twill tape is fairly flimsy and makes for wobbly lines. I think I will have the same number of bones (or more) but instead of having “two bones on each seam” like I did here, I’ll likely have one bone on the “seam of the panel” and another bone in the “middle of the panel”. I will also likely add the mid-rib horizontal piece, and widen the area at the waist /make it a diamond shape to hold in more abdominal flesh. Lastly, I’ll make the top/bottom “binding” twice as wide so it will lay flat on the body without rolling and twisting funkily like it is here, and the bones may even extend (at least partway) through that width of the binding just to prevent twisting.